Apprising Ministries has been blessed of Jesus to be used as one of His leading online apologetics and discernment works for coverage of the warped and toxic teachings of EC leaders like the Emerging Church rock star pastor Rob Bell. Sadly, mainstream evangelicalism became spiritually spineless and embraced the sinfully ecumenical neo-liberal cult of the Emergent Church aka the Emerging Church, now upgraded to 2.0 with its newer, more clearly delineated, postmodern Progressive Christian theology, which these rebels against the final authority of the Word of God will often refer to under their circus “big tent” as Emergence Christianity. The purpose of this piece is to merely document, and explain where necessary, what Rob Bell has been teaching concerning Holy Scripture. In the Christianity Today article The Emergent Mystique we find out that Bell’s view of the Bible was influenced by Living Spiritual Teacher and EC guru Brian McLaren, who’s part of the the unholy EC trinity of apostates along with Bell’s friend, universalist Emerging Church pastor Doug Pagitt, and his friend Tony Jones, the progressive “theologian in residence” at Solomon’s Porch. 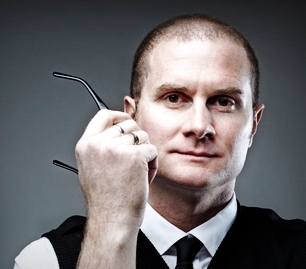 We start here because without this anchor of sola Scriptura Rob Bell’s neo-orthodox (at best) approach has now led him into a “repainted” [i.e. redefined] liberalism. And you need to understand that his embracing of mystery is Emergent-speak encompassing the practice of Contemplative Spirituality Mysticism (CSM). Bell’s highly subjective, and very wrong, view of the Bible would be along the lines that the text of Scripture itself is not necessarily inspired; but rather, as the Holy Spirit inspires a particular passage to a particular person, it then comes to life and then becomes the Word of God. As such we would then breathe it in, so to speak, living it out but in a subjective i.e. existential personal experience. This heterodox position sees the Bible as “a human product,” and in fact, denies the perspicuity and verbal plenary inspiration of the text of Holy Scripture. However, the Bible does indeed claim to be completely inspired of God in and of itself (e.g. 2 Timothy 3:16). But now you know the underlying reason why Emerging Church leaders like Rob Bell, with their hollow shell of Christianity make studying the texts of Holy Scripture far more difficult than it needs to be. The Bible itself, he writes, is a book that constantly must be wrestled with and re-interpreted. He dismisses claims that “Scripture alone” will answer all questions. Bible interpretation is colored by historical context, the reader’s bias and current realities, he says. The more you study the Bible, the more questions it raises. “It is not possible to simply do what the Bible says,” Bell writes. This is part of the problem with continually insisting that one of the absolutes of the Christian faith must be a belief that “Scripture alone” is our guide. It sounds nice, but it is not true. In reaction to abuses by the church, a group of believers during a time called the Reformation claimed that we only need the authority of the Bible. But the problem is that we got the Bible from the church voting on what the Bible even is… When people say that all we need is the Bible, it is simply not true. For our purposes here we will leave this, for now, by making the following points: 1) Rob Bell, as with the EC itself, quite specifically denies sola Scriptura; 2) their teachings, which are essentially a neo-Gnosticism, certainly do not belong within mainstream Protestant evangelicalism, and 3) the main EC argument advanced against sola Scriptura, as evidenced by Rob Bell above, has completely reversed what actually happened concerning the canon of the New Testament. Rob Bell, Velvet Elvis [Grand Rapids: Zondervan, 2005], 067, 068.